Image: Joe Fuhrman, 2008 [larger view]. 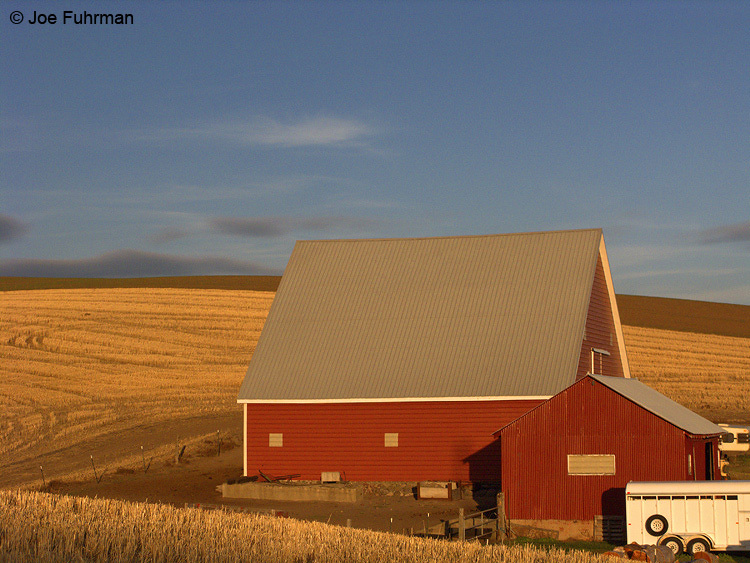 This entry was posted in Image of the Day, Nature and tagged autumn, joe fuhrman, landscape, nature, palouse, photography. Bookmark the permalink. That is what my heaven looks like. You grew up in a BARN? That is a nice barn, though. well, i don’t recall saying i grew up in a barn, but since you asked, it is true that part of my growing up time was spent in a barn. Nice photo. Check out the oil paintings of Z.Z. Wei of the Palouse and surrounding regions for a visionary perspective of these themes.